Today we marked the conclusion of the collections work of our first cohort of collections volunteers: Caroline, Maureen and Sue. 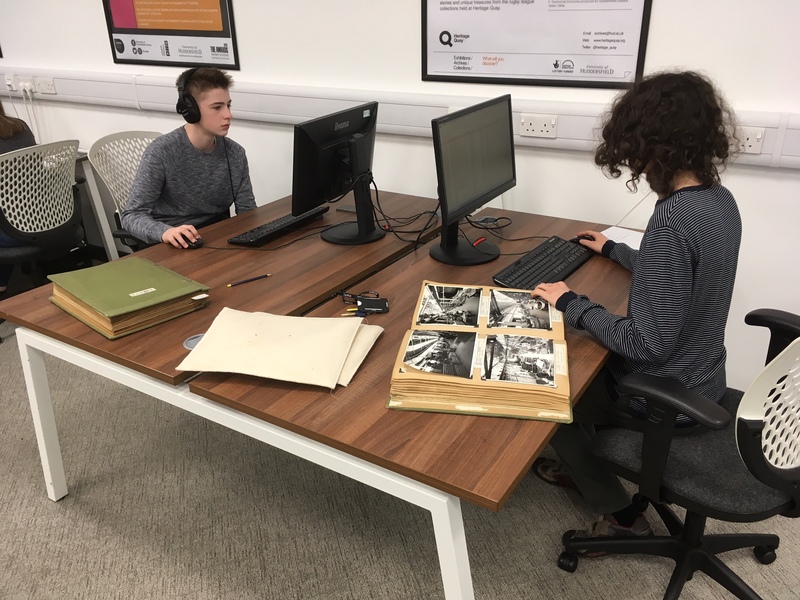 Between them they’ve greatly enhanced access to the Guest papers (catalogue forthcoming), the Mikron Theatre Company archive, the composer files and photographs in the British Music Collection, Rugby League photographs, and institutional archives. Caroline, Maureen and Sue have so far given us around 410 volunteer hours – or a quarter of a full-time worker! – since they started their projects back in August. All three are continuing to volunteer with us for events like the recent Maps Day and Takeover Day. Thank you all three for your massive contributions to opening up the collections for use. 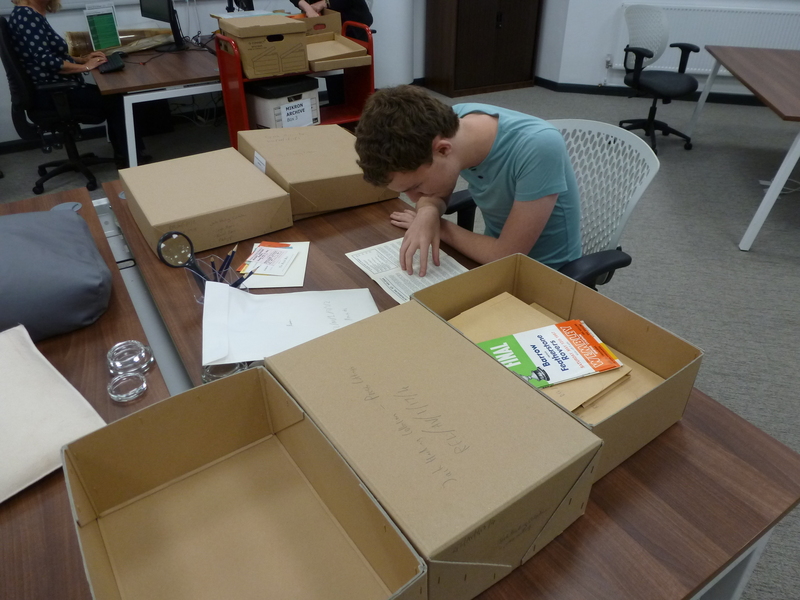 Also among our first cohort of collections volunteers were Tim, Sally, Michael, Katie and Aiden – we are so grateful for your help. If you’d like to volunteer to work with collections at Heritage Quay – we’re recruiting until 31st January. My name is Tim Galsworthy and I am currently a History student at the University of Bristol, I am also a diehard Warrington Wolves fan. As a result an advert calling for volunteers to work with Rugby League collections, here at Heritage Quay, excited both the history and sports nerd inside me. (I’ll be honest; I haven’t got over being in the presence of Brian Bevan’s shirt and boots yet!) 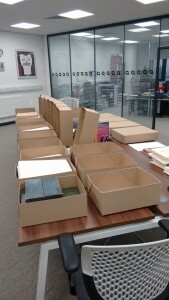 I have spent six weeks organising and cataloguing the Jack Harding Collection, and it’s been a great experience. 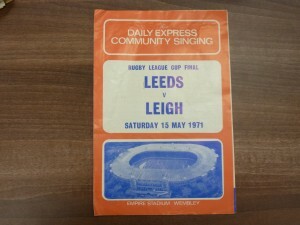 Jack Harding was Chairman of Leigh R.L.F.C for much of the Twentieth Century, a leading member of the Rugby Football League Council (being both Chair and Vice-Chair at different times), and also Manger of the triumphant 1970 Great Tour to Australasia. Harding managed the last Great Britain tour side to bring home ‘The Ashes’. 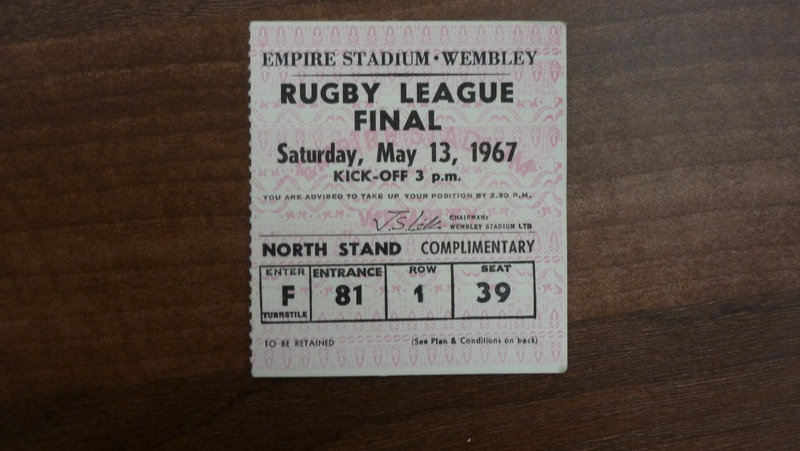 Having these official positions, along with being a general rugby league supporter, means that this collection has some real gems: photographs of Great Britain’s 1970 triumph Down Under, match day programmes from an absolute plethora of games, and a Challenge Cup winners’ medal. 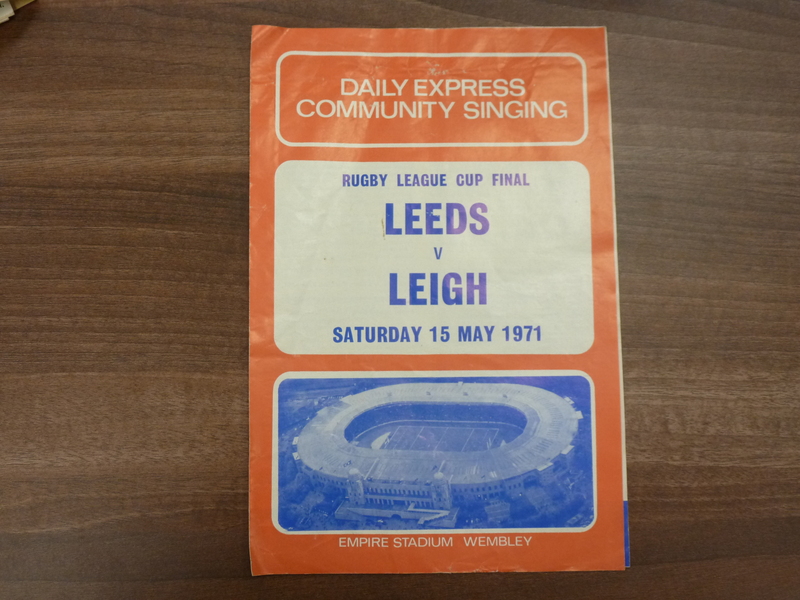 Probably my favourite items in the collection are Harding’s personal records of what the 1970 Great Britain players owed him and where they sat on plane journeys, and the Challenge Cup Final Community Singing sheets he collected. While these specific records stand out for me I’m sure others would be interested in very different elements of the Collection. 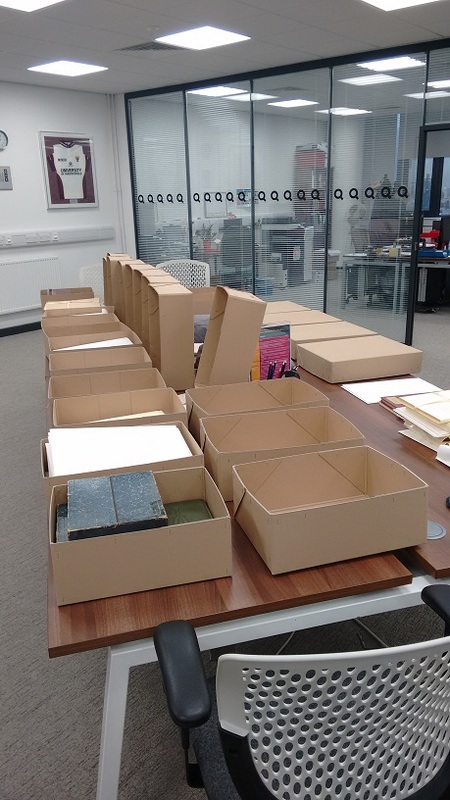 Also found within these four boxes are masses of newspaper cuttings, Leigh’s financial records for a number of decades, and Harding’s match reports from the 1970 Tour. The breadth and diversity of Jack Harding’s papers is wonderful, meaning that individuals interested in topics ranging from Leigh’s business elites in the Twentieth-Century to working class popular culture can take something from this collection. 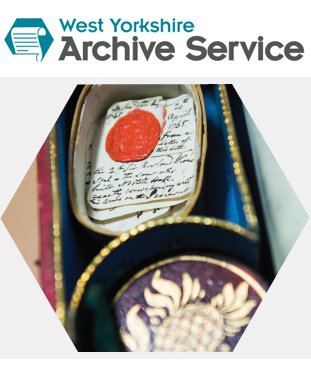 I have discovered these superb heritage titbits in the general process of archiving and cataloguing the Collection. I began by looking through the boxes and deciding what categories the material could be split in to. 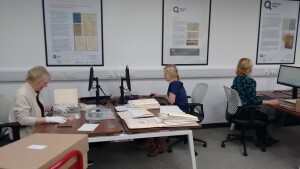 After this I began listing the items in the collection and entering descriptions onto Heritage Quay’s collections management software. Finally I began repacking Harding’s papers into folders, envelopes, and acid-free transparent sleeves. Working with this collection has been both enjoyable and academically beneficial. Spending days looking at programmes from famous matches, or exploring the day-to-day life on a Great Britain Tour, is something every Rugby League fanatic would adore to spend their summer doing. Also as a History student- and wannabe Historian- cataloguing and indexing this material has enabled me to experience the archive from the other side, as it were. I now more fully appreciate the vital role the archivist plays in any great historical research. 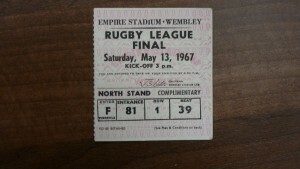 My six weeks here at Heritage Quay has deepened my passion for Rugby League, history, and especially popular cultural heritage. I only hope that one day I will read a fascinating piece of research and note that it is based upon records found in the Jack Harding Collection!